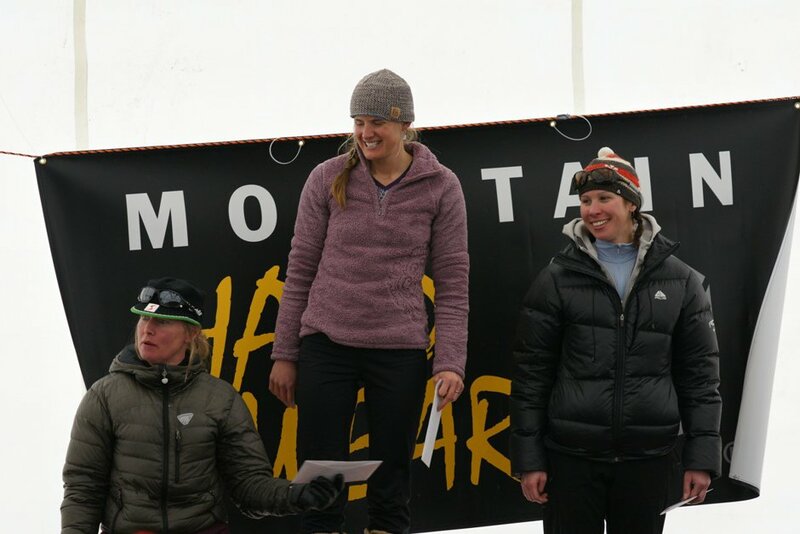 I ventured to Jackson, Wyoming this weekend for some ski mountaineering racing at the US Ski Mountaineering National Championships. The Jackson race was the first of three qualifiers for the ISMF World Championships in Claut, Italy in February. It felt a little early for national championships since many of us only had one race under our belts this season but at least we were all in the same boat. After a great night’s sleep thanks to some amazing hosts in Jackson, I was feeling nervous but ready to race on Saturday morning. The pack started fast and I did my best to hang on the back of the men’s lead group of about 20 for as long as I could. Janelle Smiley was right on my heels the entire 3,000 foot ascent, short descent down Alta Chute and into the second ascent. My new Merelli race skis are longer than my old skis and therefore my old skins don’t fit on them very well. Listening to my gut would have been a good idea and I should have picked up a new pair of longer skins last week. Oh well, I just had a few extra chances to practice getting my skins on since I had to change skins multiple times to prevent extra slipping and frustration. By the time we got to the bottom of the second descent, I managed to catch back up and Janelle and I climbed the third ascent within seconds of each other. A boot pack, short descent and into Corbetts we raced. When we crested the top of the ladder up Corbetts the wind was howling and the snow stinging our faces. So much so that I skinned a little extra to hide behind a patrol shack for the quick transition for the 4,000 descent. Monique Merrill in 3rd, Janelle Smiley in 1st and myself in 2nd. The three of us qualified for the world championships. Photo by Crested Butte Photography. I wish there was a photo of me on the descent as I was truly suffering. One of these days I will get out to just train on the descents. My climbing felt great but my legs screamed on the descents slowing me to a stop a few times. Janelle and I came into the final transition to climbing together with me getting out a second ahead of her. About 10 minutes in, my skins began to peel again and I was forced to stop and change skins again. As I watched Janelle skin away, I thought for awhile I may be able to get back to her and then truly race for the finish. I just couldn’t keep up with her at that point as Janelle was racing strong and clean and finished a well deserved national champion. I finished about a minute behind her slightly disappointed with my finish but also psyched to have raced as well as I could have. 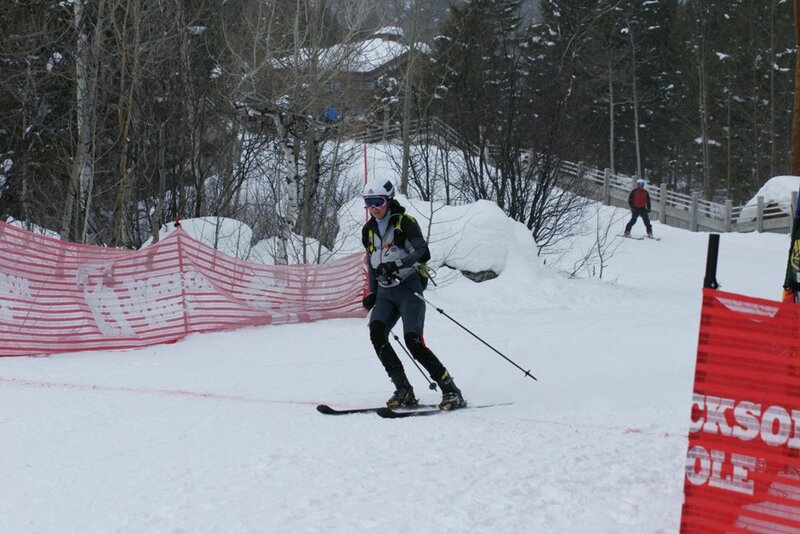 Not only was Saturday my first ski mountaineering race of 2011, it was also the first race on my new gear – La Sportiva Stratos boots and Merelli Raid skis. I still cannot believe how light the equipment is. The boots feel lighter than my trail running shoes and I don’t even know I have skis on my feet – amazing. Since there is still a lot of work to be done on my descending skills, I am still getting used to the skis on the descents. Everything feels fast and comfortable on the climbs and super solid on the descents. I am thoroughly impressed with the gear! Please visit the Jackson race website for complete results and some photos. Congrats to Brandon French, Luke Nelson and Pete Swenson for also qualifying for worlds. Well done, Sari! I see a trip to Italy in your future…. I came across your blog as I am preparing for the skimo season ahead. I’ll try to make it out to a few races in CO and UT this season. One question, now that you have been skiing your Merelli skis for a few seasons, what are your review comments? They are narrower and far less sidecut than their La Sportiva, Dynafit, and Trab race counterparts. How does this change energy efficiency for skinning and control/speed on the descents? Would you mind sharing the lengths of the different race/touring skis in your quiver? Thank you and hope to meet you at the races this season. I skied on the Merelli skis for one season but have been on the La Sportiva skis since then. I did not have the super race ski but their all around ski. I don’t have the skis anymore and I can’t remember the model name right now. They were longer (170cm) than most race skis but I didn’t notice any energy efficiency difference or lack of control on the descents. My Sportiva skis are 160cm and definitely softer. Unfortunately, I am not super techy on these things so I don’t have a super helpful answer for you. Sorry. Love to see new faces at the races and already looking forward to the skimo races this winter.